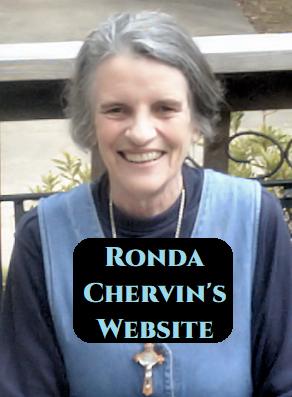 Ronda Chervin has a Ph.D. in philosophy from Fordham University and an M.A. in Religious Studies from Notre Dame Apostolic Institute. She is a convert to the Catholic faith from a Jewish but atheistic background. Dr. Ronda has been a professor at Loyola Marymount University, St. John’s Seminary of the Los Angeles Archdiocese, Franciscan University of Steubenville, Our Lady of Corpus Christi, and Holy Apostles in Connecticut. Dr. Ronda presents on EWTN and Catholic radio. She is a dedicated widow and grandmother. More than sixty books of hers have been published by Catholic presses in the area of philosophy and spirituality. Her many books include Quotable Saints, Healing Meditations from the Gospel of St. John, Catholic Realism, Voyage to Insight, Weeping with Jesus, Healing of Rejection and Escaping Anxiety. Click Here to Enter into Ronda Chervin's Take the Joy Website!